Self-Selection (Zoopharmacognosy) is the offering of Whole foods, essential oils, Medicinal and Nutritional herbs, Oils and Minerals. Your animal is allowed to instinctively self-select what it needs for its own Nutritional, Physical and Emotional balance. Ohana Farm is proud to be one of the only farms to offer Self Selection as an amenity to our boarders. 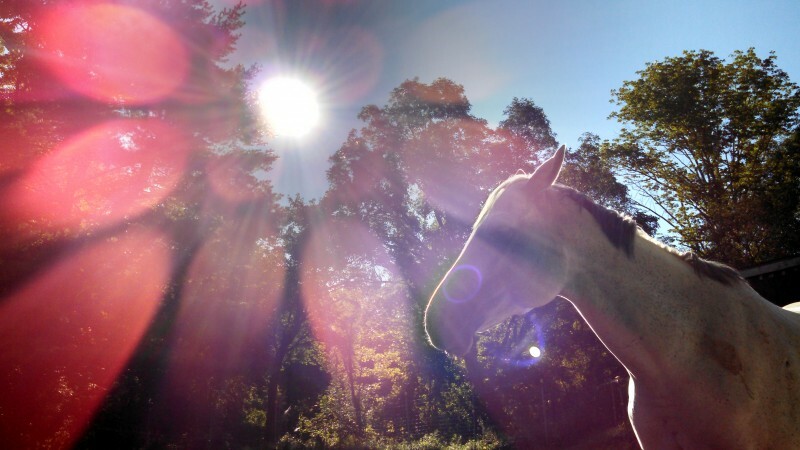 We offer several different options to help you help your horse come into true nutritional balance by letting them choose what they would in nature. We bring the meadow to the Horse! If you would like to find out from your horse where their diet may be out of balance or if there is an underlying health issue your horse is trying to recover from, A Self Selection (Zoopharmarcognosy) session can help you help your horse get what they really need and sometimes are desperate for in a seemingly well balanced diet. I have seen even very healthy looking horses select many items. Setting up an appointments-This service is available for our boarders and clients but is also available for Non-Boarders and anyone who wants to learn about Self Selection, Self Selection private sessions are available by appointment. You may ship your horse to our facility at a scheduled time to learn how to learn more about what your horse is asking for. Single Sampler Self Selection session: $75.00-(We provide items for selection and a work sheet to put a list of selected item together with their benefits) Once you see what your horse is selecting, you can purchase larger quantities of the herbs from our on site herb shop. Feeding Whole foods: We are able to feed/offer whole foods to your horse for an additional fee depending on type, frequency. Ask for a quote. For our Boarders and horses in rehab and training we offer Self Selection as a Service in the following way. Option 1: Full Self Selection Bi-monthly-we go through our full selection of herbs, oils, clays, seaweeds and algaes and essential oils to see what your horse selects. We allow your horse to select what they need in each session (we provide the selected items in safe quantities) twice a month. This is convenient if you don’t want to buy your own items and supplies. Option 2: Full Self Selection monthly-we go through our full selection of herbs, oils, clays, seaweeds and algaes and essential oils to see what your horse selects. We allow your horse to select what they need in each session (we provide the selected items in safe quantities) once a month. This is convenient if you don’t want to buy your own items and supplies.